PNNL is developing two different technologies that could one day enable cars and trucks run on biofuel made from seaweed grown in the open ocean, including the kelp shown here. PNNL and partners are developing the Nautical Offshore Autonomous Device, a seaweed cultivation system that runs along a 5-kilometer carbon-fiber rope and would float freely in the open ocean. SEATTLE — Cars and trucks might one day run on biofuel made from seaweed with the help of two technologies being developed at the Department of Energy's Pacific Northwest National Laboratory. The two technologies are among 18 new projects receiving $22 million in funding from DOE's Advanced Research Projects Agency-Energy, also known as ARPA-E. The projects are under ARPA-E's Macroalgae Research Inspiring Novel Energy Resources program, or MARINER. The program aims to create tools that enable mass production of marine biomass that can be turned into biofuel and bio-based chemicals. Though macroalgae — the technical term for seaweed — is primarily grown for human consumption today, it could also be used to make economically viable renewable energy without using synthetic fertilizers or the land and fresh water that's currently used for food production. DOE estimates the U.S. could produce enough macroalgae to meet about 10 percent of the nation's annual energy needs for transportation. But new technologies and innovative engineering approaches are needed to significantly increase production before cars can run on seaweed. A key part of boosting seaweed cultivation is knowing where to grow it. To help answer this question, a PNNL-led team will develop a set of advanced modeling tools that can predict the best locations and times to efficiently cultivate seaweed in an open-ocean farm. The team will integrate several existing modeling tools to evaluate seaweed growth potential, nutrient availability, and how natural phenomena such as wind, currents, tides, waves and storm surges could affect the productivity of manmade seaweed farms. This project is being awarded more than $2 million over the course of two years. PNNL ocean scientist Zhaoqing Yang is leading the effort from PNNL's Seattle office. He will collaborate with colleagues at PNNL, Georgia Tech, Los Alamos National Laboratory and Oregon State University. 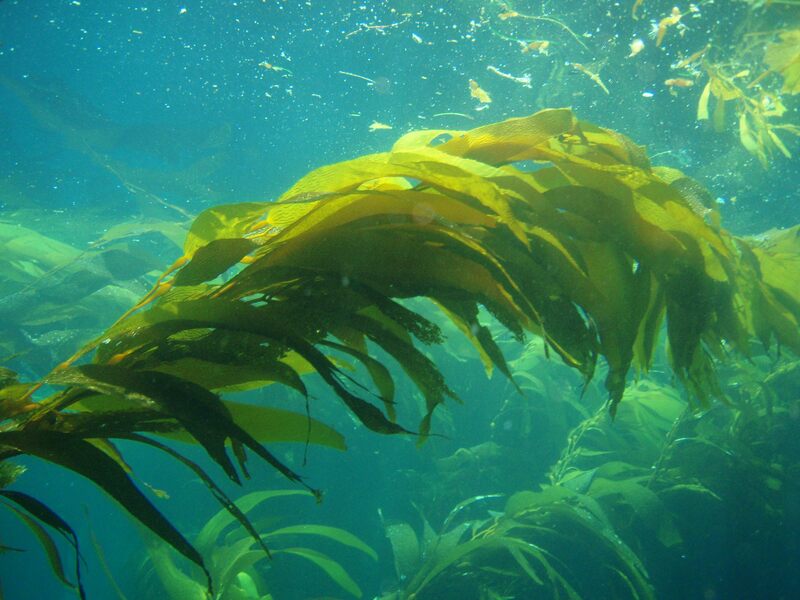 To grow the most seaweed at a low cost, another PNNL-led team will develop an autonomous cultivation system that runs along a 5-kilometer carbon-fiber rope. The longline system will be kept afloat by free-floating buoys equipped with sensors that track the farm's position, speed of movement, underwater light exposure and more. Data from the sensors will automatically calculate growth of two species of kelp that grow along the line. The line's carbon fiber will be made with composite waste materials from the aviation industry. 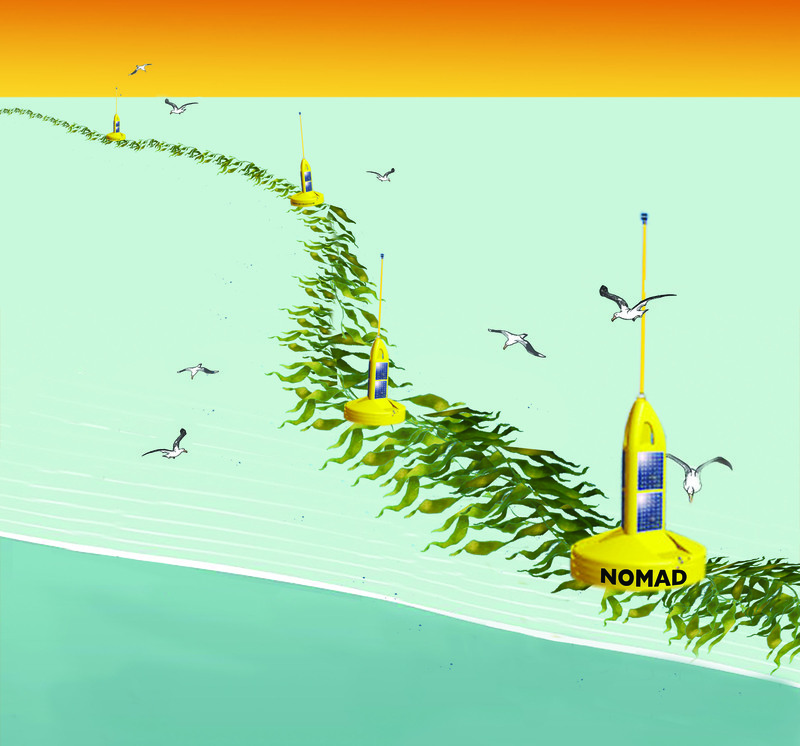 PNNL calls its system the Nautical Offshore Autonomous Device, or NOMAD. This project is initially being awarded $500,000 over the course of one year, but may be considered for further funding. PNNL engineer Michael Huesemann is leading the project from PNNL's Marine Sciences Laboratory in Sequim, Wash. He will collaborate with colleagues at PNNL, Colorado State University, Composite Recycling Technology Center, Reliance Laboratories and Marine Agronomics, LLC. For more information about all of ARPA-E's new MARINER projects, see today's DOE announcement.